Why Are Medicare Advantage Plans So Popular? As of 2014, 54 million people use traditional Medicare and 30 percent are enrolled in Medicare Advantage plans. The number of individuals and families using Medicare Advantage has tripled since 2004. An estimated 15.7 million seniors now use Medicare Advantage plans. The healthcare ecosystem is changing in America, but that doesn’t mean Medicare is going away. 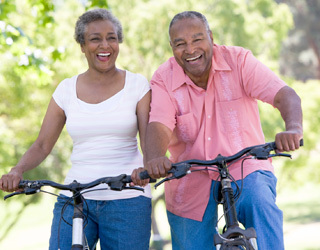 There are a variety of Medicare plans that suit all seniors specific needs. We look closely at why medicare advantage plans are so popular with seniors. While Part A and Part B Medicare plans cover the basics, Medicare Advantage opens up a wide range of possibilities because they are offered by private companies approved by Medicare. They still offer the same benefits under Part A and Part but generally add a few more services and flexibility about where to get medical services. You can even choose your own doctor with some types of Medicare Advantage Plans. A common misconception is that you have to be over 65 to get Medicare, but actually many young people are eligible to receive Medicare. Individuals with disabilities can qualify if they are eligible for Social Security disability benefits. Mental illness is considered eligible for these benefits and includes depression, bipolar disease, schizophrenia and many other issues. You also qualify if you’re under the age of 65 if you receive a disability pension, have Lou Gehrig’s disease or if you have permanent kidney failure. To find out if you are eligible for Medicare, you simply go online and use the Eligibility and Premium Calculator on Medicare.gov. Since the 1970s, Americans have been able to get Medicare through private companies and enjoy better benefits by choosing to do so. Local HMO and PPO companies work with Medicare to provide extra benefits to enrollees. HMOs are the majority type of Medicare Advantage Plan accounting for 64 percent of enrollment in 2014. PPOs are the second highest and account for 23 percent of all Medicare Advantage account holders. There are also regional PPOs and PFFS accounts. A PFFS is a Private-Fee-for-Service plan. This means that participants can pay extra to see their own doctors and choose their own medical facilities as part of Medicare Advantage. If qualified for Medicare, you can also choose Medical Savings Accounts (MSAs) or Special Needs Plans, but these are less common and only account for 3 percent of the total population using Medicare Advantage. Part of Medicare Advantage plans are covered by Medicare and allow companies to provide Part A and B benefits at a lower rate. In addition, Medicare pays for prescription drug benefits under Medicare Part D, which can also be added to your Medicare Advantage plan. Most private companies ask a premium of $35 per month for Medicare Advantage plans. However, you could also get your premium costs waived if you qualify. Many plans differ by what they offer and what private company is offering the plan. Premiums are lower for HMOs and regional PPOs than for local PPOS and PFFS plans. Since there are different plan types, there are also different coverage plans depending on the type of plan that you choose. With a HMO, you have to get your care and services from hospitals and doctors who are in the network. If you need to see a specialist, you’ll likely need to seek a referral. While this option is less flexible than PPO, it’s often cheaper. In a PPO, there is a network of doctors and hospitals that cost less to visit than if you go out-of-network. However, you are granted more flexibility. In addition, Medicare Advantage Plans must provide emergency coverage outside of service areas and even in some instances when you are traveling outside of the US. Medicare prescription drug coverage is now included in almost all Medicare Part C plans. You also pay for prescription drug coverage, but it can save you 50 percent on any brand name drug purchases. In some cases, Medicare Advantage Plans will offer more than traditional Medicare because they are being offered by a private company. In these instances, you can expect to get dental, vision, hearing and wellness coverage. This gives enrollees more options for eyeglasses, hearing aids, mental stability and physical rehabilitation. Although offered by private companies, Medicare Advantage plans must offer all Medicare benefits. By doing this, the insurance companies are able to collect rebates from Medicare. The companies then must provide extra services with the money allotted to them by Medicare. All Medicare Advantage companies must offer one plan that includes prescription drug coverage or Part D. As of 2014, almost 85 percent of Medicare Advantage plans included prescription drug coverage. All Part D participants receive a 50 percent discount on branded drugs. In addition, plans must not allow out-of-pocket spending to exceed $6,700. This change was made in 2011. In addition to all of the services that you receive on Medicare Part A and Part B, you also get a lot of benefits from Medical Advantage if you are a young or aged senior. Those over the age of 65 are automatically eligible for the program, but you have to be quick in signing up during the enrollment period in order to receive coverage. Medicare Advantage plans are relatively inexpensive for seniors and even free n some cases if you choose to upgrade. One thing that is not covered by Medicare Advantage is hospice care, although some private companies may include it in their policy as part of providing coverage that is equal to Medicare coverage for hospice. Currently, 11 million seniors rely on Medicare Advantage. Most report a high satisfaction for the plan because of its price and flexibility. Typically, Medicare Advantage Plans are not free. You must pay a premium as part of Part B and also pay a premium for Medicare Advantage as well. This is because Medicare Advantage offers more services and flexibility than traditional Medicare plans. It’s still lower under MA plans to pay premiums, co-payments and deductibles even if you just have traditional Medicare. In short, Medicare Advantage plans are several discount and do provide you with some savings on every medical service if you quality. There are some things that make Medicare Advantage to apply for. Many people with disabilities aren’t able to go online and apply for Medicare themselves, which is why they turn to Medicare Advantage because private companies have more options and provide customer support. If you have a Medicare Advantage Plan, then you can’t purchase Medigap policies. In fact, any company trying to sell you a Medigap policy while you already have a Medicare policy is in violation of the law. The only time you can enroll in Medigap is if you are leaving Medicare Advantage Plan and going back to traditional Medicare. However, it’s easy to switch from traditional Medicare to Medicare Advantage Plans. You don’t need to use the Medigap policy anymore to cover your premiums, coinsurance or co-payments. However, you may want to drop your Medigap policy at some point. To do so, you should always talk to your State Health Department to see what is available for you and how to get on Medicare if you’re not already. Many private companies offer incentives to bring people into their insurance companies. For one, they might offer free glasses, discounts for certain medical services, blood pressure checks, gym memberships and even free prescription drugs depending on the cost and brand. Medicare Part C Plans are mostly popular because qualified individuals get a private plan through an insurance company and can customize what they want in order to keep their payments low and get all of the services that they need. To qualify for Medicare Advantage plans, you must already be eligible for Part A and Part B. You’ll need this information when you apply for Medicare Advantage, so make sure that you read our guides on signing up for Medicare Advantage to ensure that you fill out the forms correctly and purchase the right type of Part C insurance plans for yourself and family members. If you are able to apply for social security benefits, then you should be able to apply for Medicare Advantage as well.